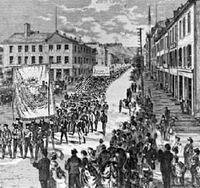 The Slave Trade Act abolishes the slave trade in the British Empire. Toronto printers go on strike, demanding a 9-hour work day and a 54-hour work week. 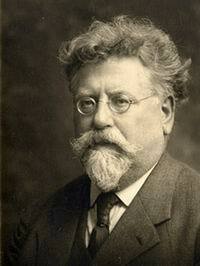 Birth of Rudolf Rocker (1873-1958), anarcho-syndicalist writer, editor, and activist. 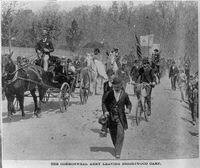 A protest march by unemployed workers known as “Coxey’s Army” heads for Washington to demand that the U.S. government launch public works projects to create jobs. 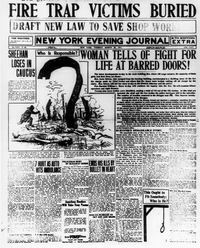 The Triangle Shirtwaist Factory Fire. A factory fire in New York City kills 146 garment workers, 129 women and 17 men, most of them recent Jewish and Italian immigrants. Factory managers had locked the doors to the building to prevent workers from taking unauthorized breaks. Trapped workers try to escape the flames by leaping from the eighth, ninth, and tenth floors. The owners of the factory are charged with manslaughter, but quickly acquitted. Their insurance payout substantially exceeds their financial losses from the fire, netting them a profit of about $400 per dead worker, this at a time when an average worker earned $7 per week. 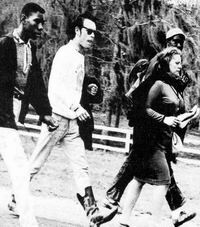 Viola Liuozzo, a white woman who has come to Alabama to participate in the Selma to Montgomery civil rights march, is murdered by the Ku Klux Klan.